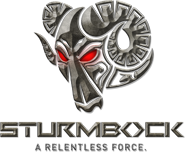 Many performance shops, workshops, car dealerships and other distributors worldwide choose Sturm Bock as their premier partner for high-end performance and aftermarket tuning products. For the same reason like our customers do, they enjoy our vast and exclusive catalogue of products, outstanding quality, pure and honest advice, detail of information and of course the right pricing. Paired with top level customer support and quick and efficient logistics, Sturm Bock is delivering the success formula to service your B2B needs. Our wholesale program is designed to help provide you with profitable, timely solutions to enhance your business and not only retain your customers but gain new ones. Our program requires no minimum order quantities or buy-ins, while offering the maximum trade discount possible. Be more competitive with purchases from Sturm Bock. Combine shipments to larger shipment to save even more money and expand your product portfolio with us today. For more information contact our team now !